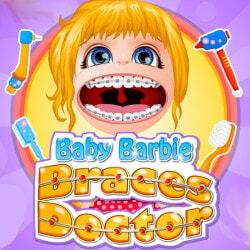 Like any other girl in the world, cute baby Barbie loves dolls. Her favorite at the moment are the gorgeous and funky Cutie Pops dolls. 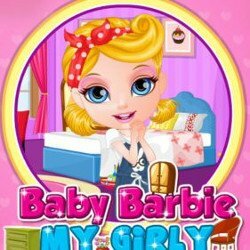 This dolls have a great style, cute makeup and the best hairstyles and baby Barbie simply adores the look. 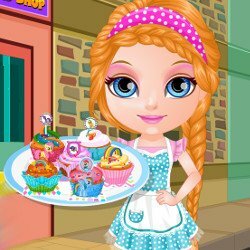 She wants to try a few costumes and create a similar look in the new and fun game called Baby Barbie Cutie Pops Costumes! 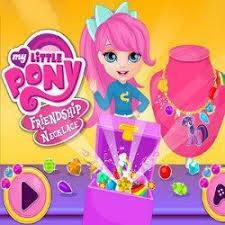 The first is to find a few great items in her room. She will need the following hidden objects: bows, dress, purple shoes, crown and gorgeous earrings. 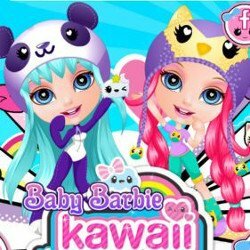 Find them all with her and then you can create a nice look in the dress up game Baby Barbie Cutie Pops Costumes! For the hairstyle there are many great options such as a cute little pony tails hair do which can be easily accessorized with pink bows. Add a nice dress with cupcake pattern, which is truly adorable and match it with fun pink shoes. 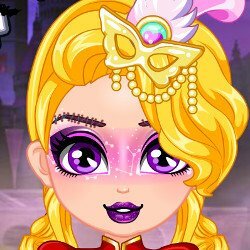 For the makeup add girly colors such as red and purple and little heart shaped eye lashes.